On the back of the Pritzker medallion are three words: Firmness, Commodity, and Delight. These rules of architecture define the prestigious Pritzker Architecture Prize, considered the highest honor that a living architect can attain. According to the Hyatt Foundation which administers the Prize, these three rules recall the principles set down by the ancient Roman architect Marcus Vitruvius Pollio: firmitas, utilitas, venustas. Vitruvius described the need for architecture to be well-built, useful by serving a purpose, and beautiful to look at. These are the same three principles that Pritzker juries apply to today's architects. 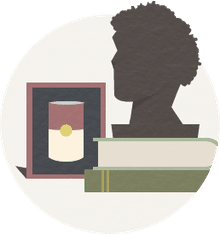 The Pritzker, or Pritzker Architecture Prize, is an international award given each year to a living architect who, in the opinion of a select jury, has made profound achievements in the world of architecture. Laureates of the Pritzker Architecture Prize receive $100,000, a certificate, and a bronze medallion. The Pritzker Prize was established in 1979 by Jay A. Pritzker (1922-1999) and his wife Cindy Pritzker. The Pritzkers made a fortune by founding the Hyatt hotel chain. The Prize is funded through the family's Hyatt Foundation. Who would have guessed that in 2014 the most prestigious award in architecture would go to an architect who was not a celebrity—Shigeru Ban. The same thing happened in 2016 when Chilean architect Alejandro Aravena received the architecture prize. Could the Pritzker jury be telling us something about the three rules of architecture? Like the 2013 Pritzker Laureate, Toyo Ito, Ban has been an architect of healing, designing sustainable housing for Japan's earthquake and tsunami victims. Ban also has circled the globe providing relief after natural disasters in Rwanda, Turkey, India, China, Italy, Haiti, and New Zealand. Aravena does the same in South America. The 2014 Pritzker Jury said of Ban that "His sense of responsibility and positive action to create architecture of quality to serve society's needs, combined with his original approach to these humanitarian challenges, make this year's winner an exemplary professional." Before Ban, Aravena, and Ito came the first Chinese recipient, Wang Shu, in 2012. At a time when China's cities were choking in over-urbanization, Shu continued to defy his country's quick-build attitude of over-industrialization. Instead, Shu insisted that his country's future could become modernized while tethered to its traditions. "Using recycled materials," said the 2012 Pritzker Citation, "he is able to send several messages on the careful use of resources and respect for tradition and context as well as give a frank appraisal of technology and the quality of construction today, particularly in China." By awarding architecture's highest honor to these three men, what is the Pritzker jury trying to tell the world? In choosing Ban, Ito, Aravena, and Shu, the Pritzker juries are reasserting old values for a new generation. The Tokyo-born Ban was only 56 years old when he won. Wang Shu and Alejandro Aravena were only 48. Certainly not household names, these architects have undertaken a variety of projects both commercial and noncommercial. Shu has been a scholar and teacher of historic preservation and renovation. Ban's humanitarian projects include his ingenious use of common, recyclable materials, like cardboard paper tubes for columns, to quickly construct dignified shelters for victims of disasters. After the 2008 Wenchuan Earthquake, Ban helped bring order to a devastated community by building the Hualin Elementary School from cardboard tubes. 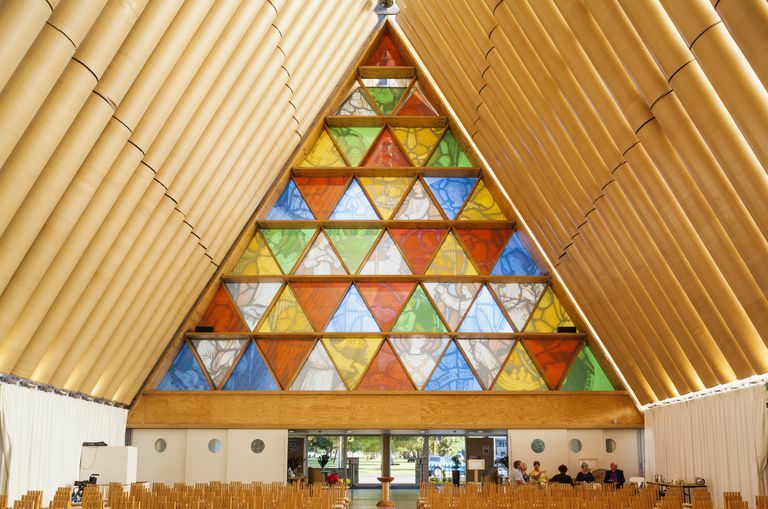 On a larger scale, Ban's 2012 design for a "cardboard cathedral" gave a New Zealand community a beautiful temporary structure expected to last 50 years while the community rebuilds its cathedral, decimated by the 2011 Christchurch earthquake. Ban sees the beauty of carboard concrete tube forms; he also started the trend for reusing shipping containers as residential properties. Being named a Pritzker Architecture Prize Laureate establishes these men in history as some of the most influential architects of modern times. Like many middle-aged architects, their careers are just beginning. Architecture is not a "get rich quick" pursuit, and for many the riches never materialize. The Pritzker Architecture Prize seems to be recognizing the architect who isn't seeking celebrity, but who follows ancient tradition — the architect's duty, as defined by Vitruvius — "to create architecture of quality to serve society's needs." That's how to win a Pritzker Prize in the 21st century.